American Riviera Tours offers half day cruise Los Angeles excursion, private tours and transfer transportation packages with pick up from the Port of Los Angeles and Long Beach cruise terminals and end at Los Angeles area airports: LAX airport, Burbank airport or any hotel in Los Angeles. See Hollywood, Los Angeles, Beverly Hills, Santa Monica during your pre and post LA city day tour. Includes a transfer to LAX airport and disembarkation tour option with luggage safely stored onboard a van during the tour. Great for families with kids and senior citizen travelers. 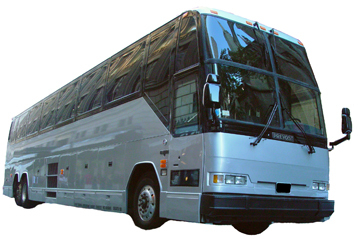 Los Angeles Tours Excursions available for families with kids, seniors and groups of all sizes. 5 star rated on TripAdvisor, Yahoo, and Google!! Our Hollywood Studios private sightseeing tour will take you by world famous Los Angeles movie studios – home of big-budget blockbusters movies. Hollywood Movie Studios tour start in Hollywood Hills with magnificent views of Universal Studios, Warner Brothers Studio and Disney Studio (stop, take pictures). Then we on to ride along soaring, precarious Mulholland Drive to amazing overlook to see beautiful view of Los Angeles, Hollywood Sign and Hollywood Bowl. After that our Hollywood Studios Private tour will take you drive by Universal Studios Hollywood (stop, take pictures), Warner Brothers Studios and Disney Studios in Burbank, CA (stop, take pictures). Then we are back in Hollywood to see the famous gates of Paramount Pictures Studios (stop, take pictures), Hollywood Walk of Fame, TCL Grauman’s Chinese Theater, Dolby Theatre (home of the Oscars), Capitol Records building, Sunset Strip. After that we drive by 20th Century Fox studios in Century City and Sony Pictures Entertainment studio (former Columbia and Tri-Star Pictures) in Culver City. Optional stops can include Farmers Market and The Grove (great place for a quick lunch), Griffiths Park and Observatory, Beverly Hills Rodeo Drive, star homes in Bel Air .